Last month, I learned something new. It’s called “Bobbin Lace” and I LOVE it! Bobbin Lace is made with dozens of wooden bobbins. The thread is wound on the bobbins, then the bobbins are crossed and twisted to make the pattern. Of course, there’s much more to it than that, but that’s the basic idea of how to make bobbin lace. I’ve been wanting to learn bobbin lace for many years. When the class was offered at my local yarn shop, Fiber Creek in Prescott, AZ at the beginning of January, I jumped at the chance to learn it! 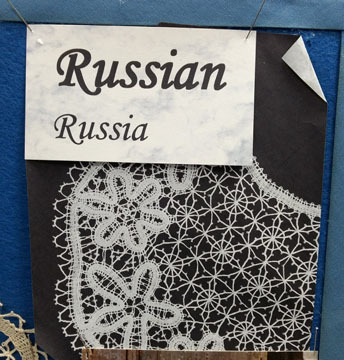 The Bobbin Lace teacher, Verla, was very good and encouraging! She supplied everything we needed to use in the class. It’s not perfect, but I learned a TON making it! 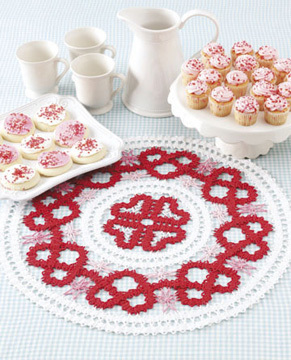 Can you see the similarities between the Bobbin Lace and the crochet Bruges Lace? They’re both made with tapes. Of course, the crochet method is much faster than the bobbin lace method, but I love them both the same! At the Interweave Yarn Fest in Loveland, Colorado in April and at the CGOA Conference in Portland, Oregon in July. You can read about the Interweave Yarn fest here and register for my Yarn Fest class here. You can read a little about the CGOA Conference and find out who’s teaching classes here, but the class listings won’t be publicized until around the middle of March. What do you think? 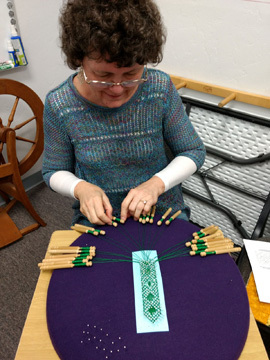 Have you ever wanted to learn to do Bobbin Lace? 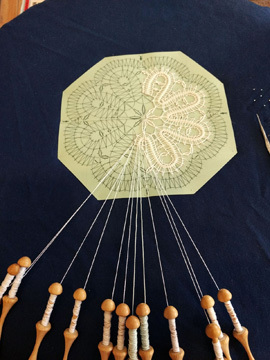 Or do you already know how to make bobbin lace? 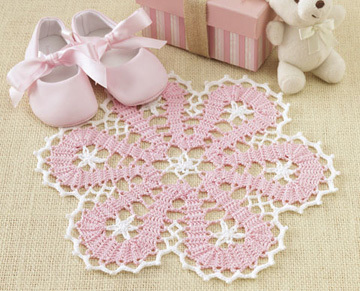 Do you want to learn to do Crochet Bruges Lace? I’d love to have you in my Bruges Lace classes in Colorado or Portland this year! 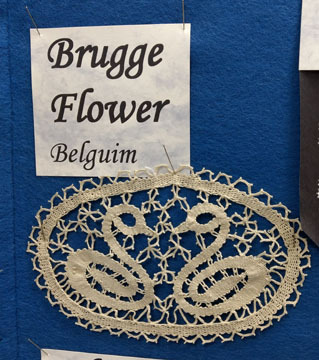 And I’d love to hear what you think about bobbin lace and/or crochet Bruges Lace! 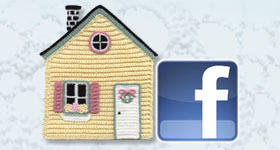 Happy crocheting, knitting, tatting and bobbin lace making! 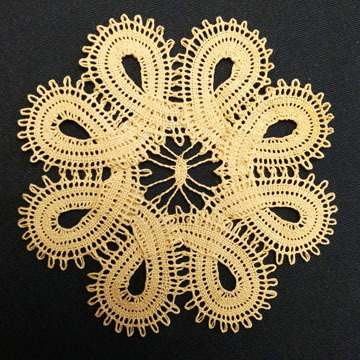 This entry was posted in Bobbin Lace, Bruges Lace Crochet, CGOA, Interweave Yarn Fest, Learning something new, Teaching classes, teaching crochet and tagged bobbin lace, Bruges Lace, CGOA, classes, teaching. Bookmark the permalink.